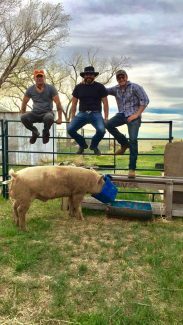 The owners of DenCo Meats and Custom Cuts in Deer Trail, Colo., allow customers to "meet their meat." 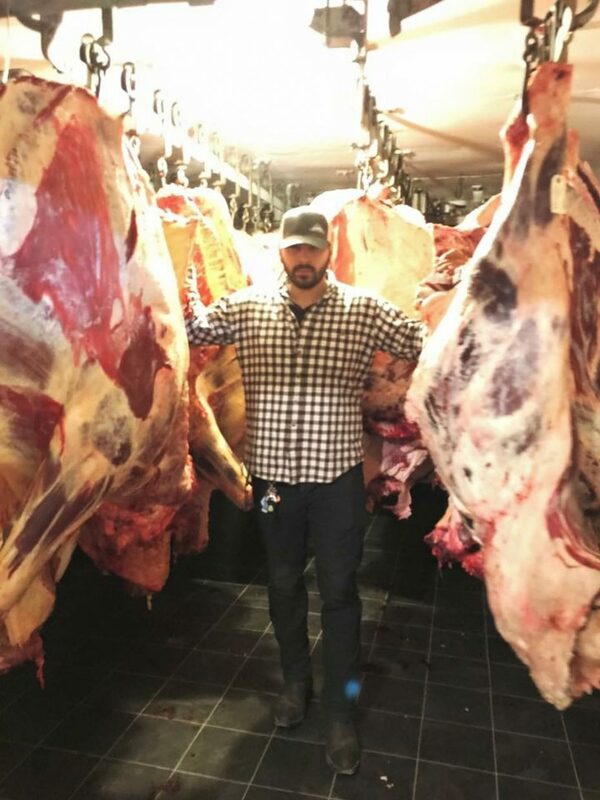 Jose Gonzalez and his partners at DenCo Meats and Custom Cuts bought the Deer Trail Locker in Deer Trail, Colo.. and plan to expand the business. Worried about where your grocery store meat comes from? Or what the best cuts are? Or how to cook it so it's not only safe, but tasty? There's really no big mystery in buying a pound of ground beef, but maybe you want something fresher, that came from a little closer to home. 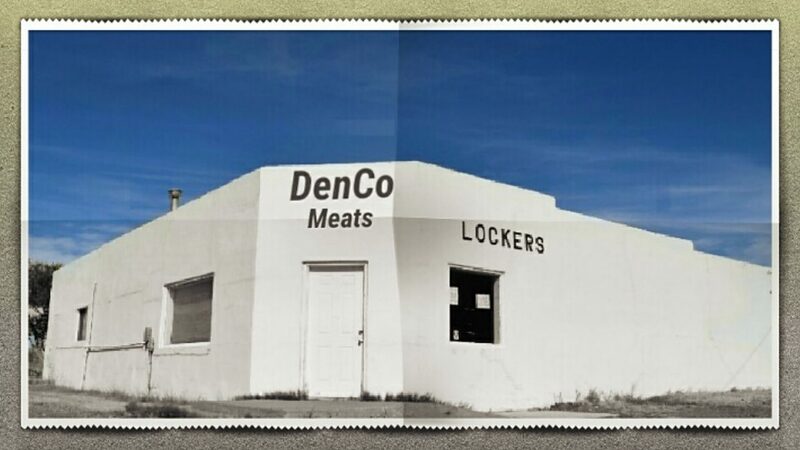 The new owners of the Deer Trail Locker, now called DenCo Meats and Custom Cuts, are offering just that. Home-grown organic meat, fresh from local producers. In 2016, Jose L. Gonzalez and Carlos Chaparro, pooled their savings to buy the meat locker that has over 70 years of history in the Deer Trail, Colo., community, with plans to expand their catering business and to deploy a new marketing plan. The duo also owns Mestizos Food Truck, a popular Denver area taco truck that "offers Mexican-based cuisine with a unique fusion of flavors, presentation and character to each one of its items," focused on "quality over quantity." But, back to the meat processing business. The terms at grocery store meat counters have become somewhat confusing, with "farm-to-table," "organic," "sourcing local," and more. Most are misused and have become nothing more than a marketing gimmick. And the national country of origin labeling debate over meat, really can end at the local butcher, Gonzalez said. "At DenCo Meats, you get to meet your meat," he said. "There's a huge demand." 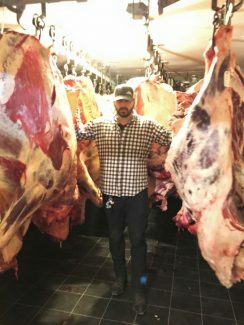 Gonzalez said that the community has somewhat underestimated them, as young Latinos, but they have done some remodeling, brought in some new technology, and are shining some new light on the custom meat market. "We are breaking down barriers and stereotypes," Gonzalez said. 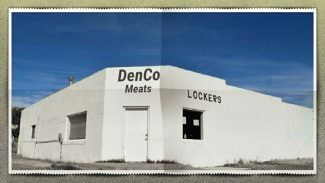 The original Deer Trail Meat Locker had been through a number of owners, and some in the town may have thought it was shut down, Gonzalez said. "Word got around that we closed down, but it never got back around that we reopened," he said. But open, they are. And they are ambitious. "It's about having the ability to create an opportunity. I want it to be a historical location too, but I also want DenCo Meats in the supermarkets," he said. Gonzalez and Chaparro met in their teens, at a gym, literally, "beating each other up." That boxing start has set the stage for a team that is ready to make a difference, not only in the meat market but also in the community. "We have teamed up with the Salvation Army, and we have started HEAL; Healthy Eating and Active Lifestyle," Gonzalez said. With six employees currently, Gonzales also hopes to grow the business and make DenCo Meats a staple in a number of restaurants. The employees are Josue "El Matador" Villavicencio, kill room operator; Jael Villavicencio, wrapper and cuts specialist; Judith Quintero, head wrapper; Sergio Pedromo, butcher; Maria Carlos, wrapper; and Jerry Turceke, head of kill room operations. 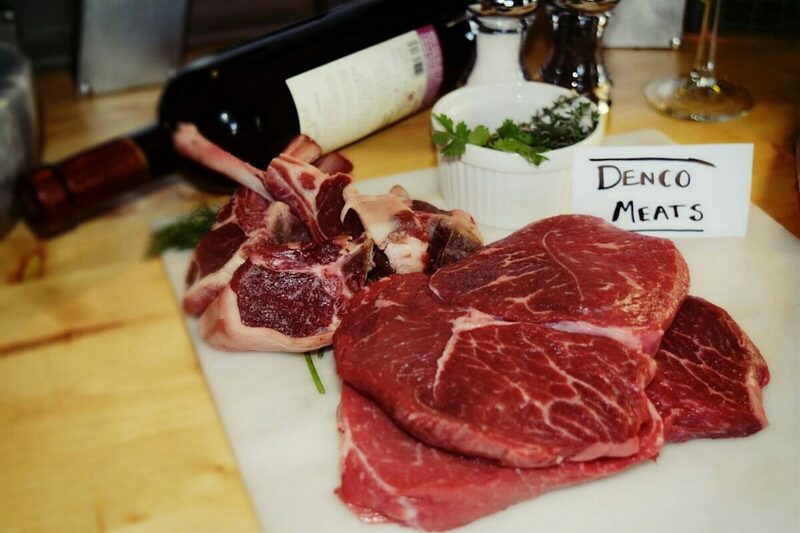 "DenCo Meats takes pride in its customer service and quality work. So, come check us out and schedule your next animal with us," he said. The company's website, DencoMeats.com, allows customers to fill out their custom cuts orders online. The company is working on becoming a U.S. Department of Agriculture approved distributor and once that is done, their customers will be able to order local meat from the comfort of their homes and have it delivered to their doorstep. "Jose and his crew picked up and butchered four head for us," said Leda Viart, a DenCo customer. "Jose even delivered our packaged, frozen meat after processing. So far, we have eaten the burger, sirloin, T-bones and a round steak. Even the round steak was tender. Planning to use Denco for our hogs as well." For more information, go to DencoMeats.com or visit them at 1454 First Ave., Deer Trail, CO. Gonzales can be reached at (303) 350-8828.